Two wanted felons stole firefighting equipment that belonged to a firefighter who was battling the Thomas Fire, according to the Santa Barbara Police Department. On Monday afternoon, officers chased two wanted felons who were traveling in a stolen vehicle. The pursuit morphed into a foot chase that the officers won. 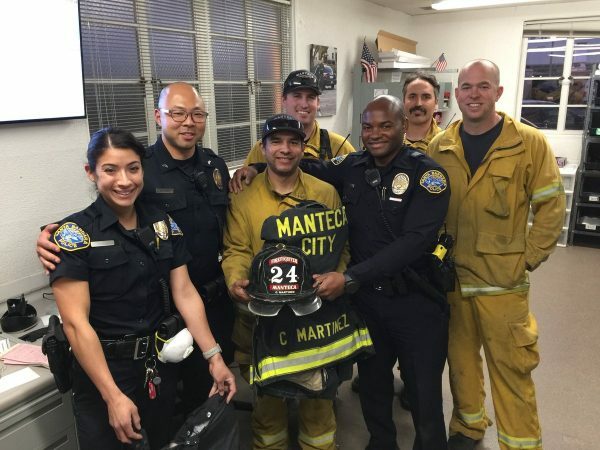 After catching the suspects, officers found they were in possession of stolen firefighting gear, which included a helmet and jacket belonging to a Manteca city firefighter. Police arrested Carpinteria Joshua Raymond Campbell, 18, of Carpinteria and Michyl Zecharyah Jordan, 25, of Santa Barbara on multiple charges.